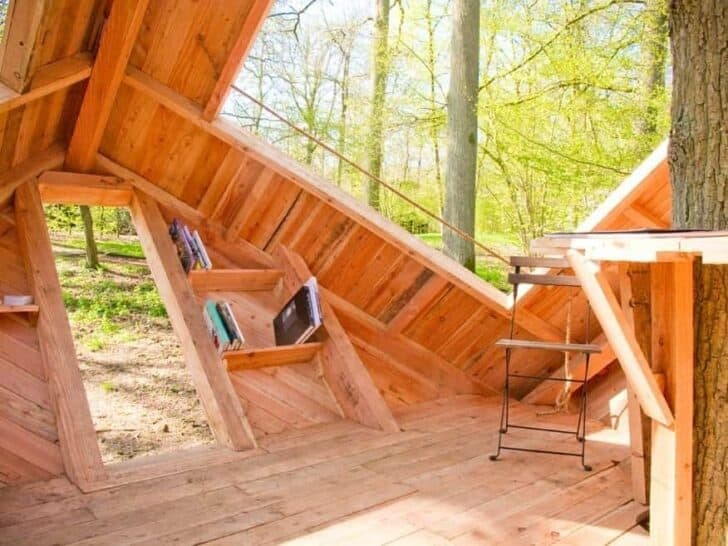 Here is one of the most contemporary hut we've ever seen ! 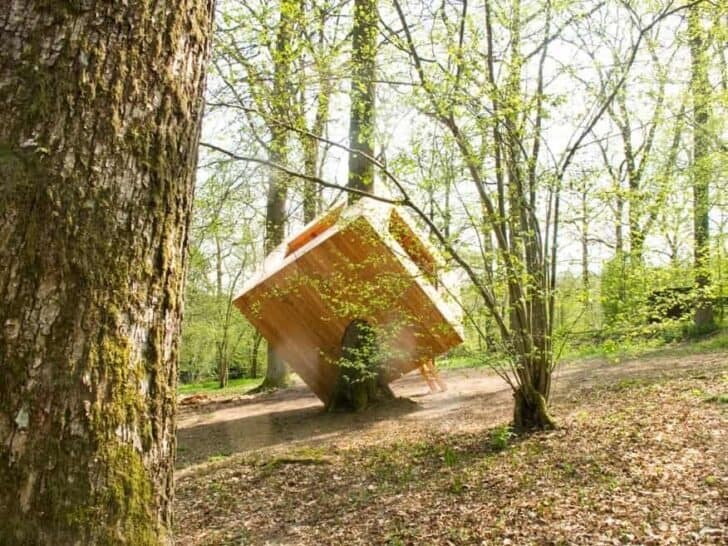 It was initially made as an ephemeral installation for the "Passion Robinson Festival 2013" but they finally decided to let it in the forest of Chevetogne in Belgium. 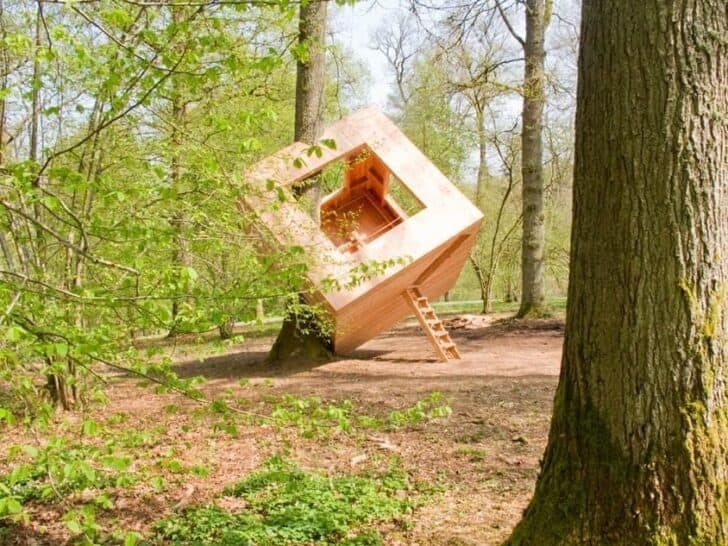 How environmentally sound that is. Pretty litter.